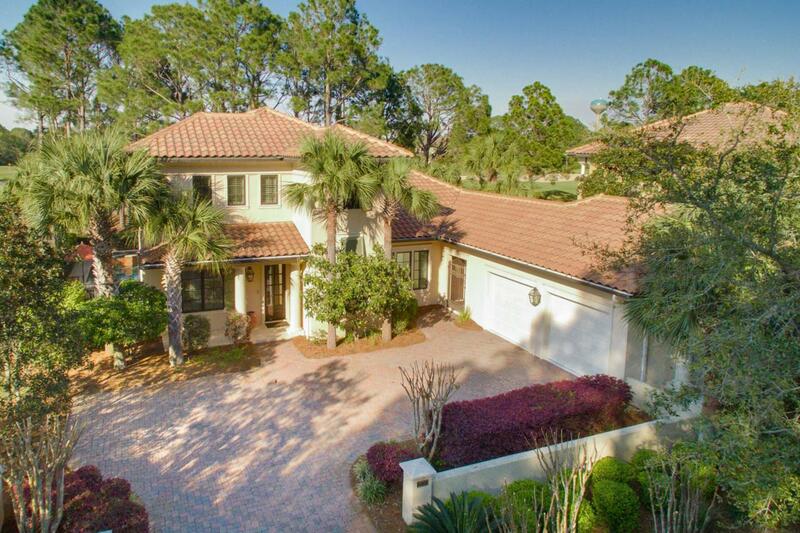 Welcome to this beautiful Huff-built, Mediterranean-style luxury home in the gated community of Burnt Pine within The Sandestin Golf and Beach Resort. 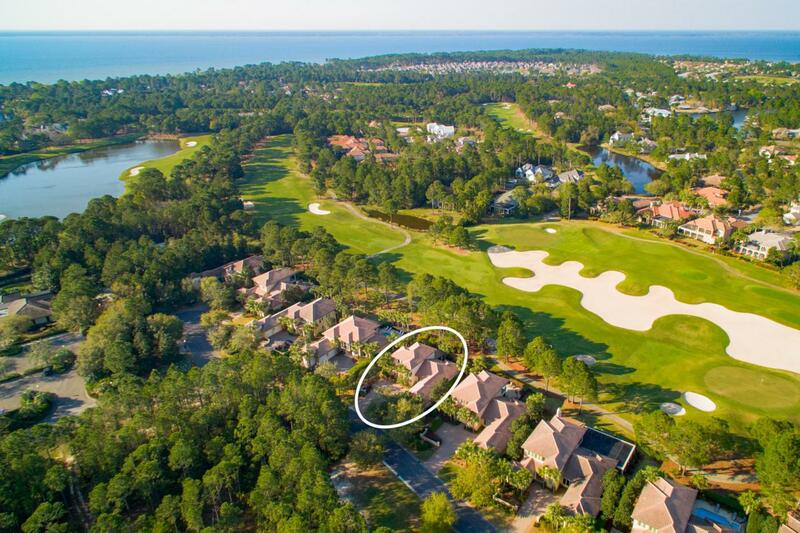 Located on the 2nd hole of Burnt Pine Golf Course, the clubhouse and driving range are just steps away. 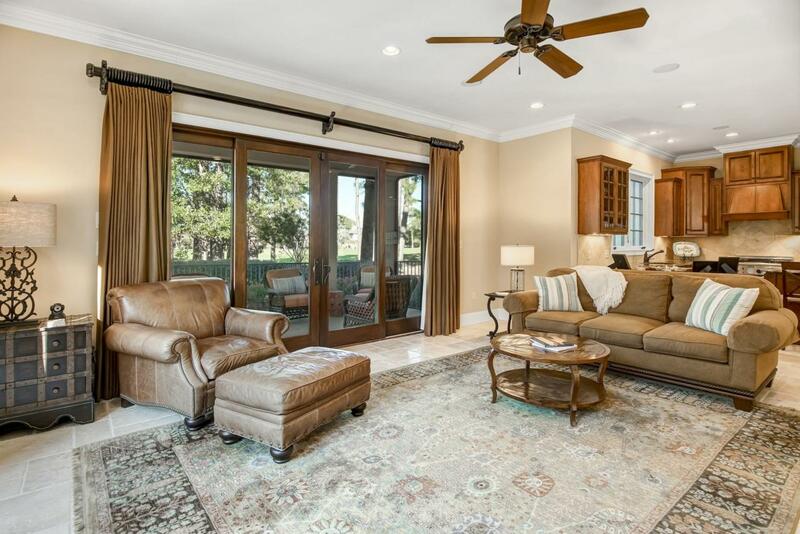 The home features a large screened porch with views of the pool, spa, and golf course. Inviting foyer and open floor plan with spacious kitchen, living and dining areas make this home perfect for entertaining. Kitchen has built-in appliances and top-end Thermidor range. Two bedrooms with full en suite baths on the first floor offer versatility. The sizable master suite includes his and hers vanities, separate shower, jetted tub and large walk-in closet. Second floor includes 2 bedrooms w/full ensuite baths and a separate sitting/game roomSuperior quality finishes throughout include travertine and Brazilian cherry floors, granite, wide crown/base moldings, Marvin windows and doors, plantation shutters, Nobilus bronze hardware, frameless glass shower doors in all 4 baths, upgraded media wiring and speakers in all main rooms and Buzz-off mist mosquito system. An oversized 2-car garage has room for golf cart. Landscaping and yard maintenance are included in the association dues, adding to the beauty of the Club Estates neighborhood of Burnt Pine. 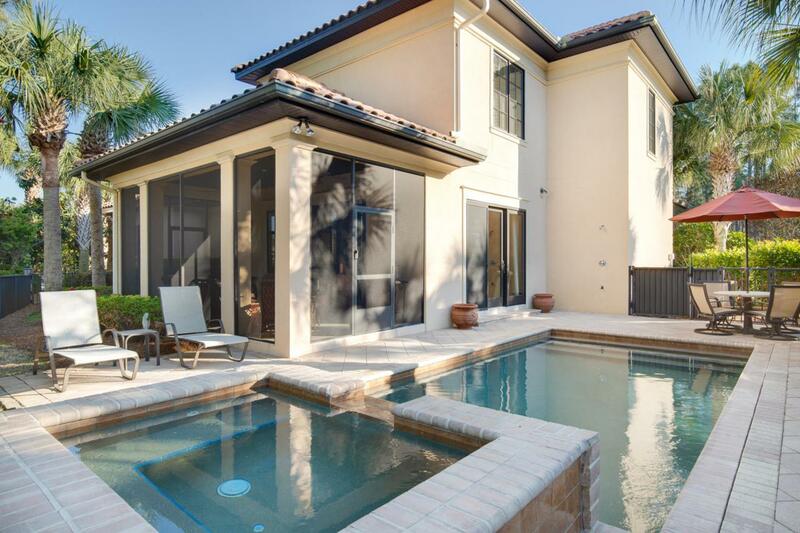 This must-see home is perfect as a primary residence or secondary vacation villa. Bike or ride your golf cart to all of the amenities that Sandestin and Grand Boulevard have to offer. The world-class, 2400-acre Sandestin resort has gorgeous Gulf Coast white sand beaches, 4 championship golf courses, 15 court professional tennis complex, 98 slip marina on Choctawatchee Bay, and fantastic shopping, dining and entertainment in the pedestrian Village of Baytowne Wharf and Grand Boulevard.